Yesterday, we saw Android 4.3 leak out after the system dump was ripped from a Nexus 4. After a few hours, the good folks over at XDA were able to compile a flashable zip from the dump, which means adventurous users around the world began to install Android 4.3 on their Nexus 4 handsets. Well, it turns out that someone has done comparisons and found that Android 4.3 improves the benchmark results for the Nexus 4. Or rather, it seems to improve most of the benchmarks for the device. A Nexus 4 running Android 4.2.2 did best the same device running Android 4.3 in CFBench -Native by a slight margin, but that was to be expected. CFBench - Java showed Android 4.3 improve results by over 500 points. Android 4.3 supports OpenGL 3.0, and that seems to have helped improve GLBenchmark 2.5 test results by 5 frames onscreen, and 6 frames for the off-screen test. It is still far too early to know if these changes will make much real world difference, but the Dalvik Virtual Machine in Android 4.3 has also been optimized, which should provide noticeable performance boosts in most apps. when it will be out...officially ? Hopefully the good folks at XDA will have a 4.3 rom for my Note 2 next week. By the time Samsung releases 4.3 for Note 2 I will already be on Note 3. Obviously you got time fo dat. And so do I. So cute... someone learned a meme. Installed it on my nexus 4, 3 hours ago The performance has improved overall (both os & apps) The touch sensitivity is awesome I have a feeling that the colors have changed a bit too,it looks better than before.opengl es 3.0 and LE bluetooth. Thats what i noticed till now,im going to do some benchmarks too,and check if it scores higher than before. 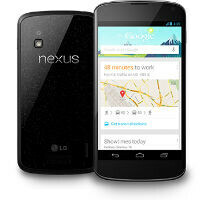 Will Android 4.3 make its way to Galaxy Nexus owners? I have the Sprint variant, however, and we only have the 4.2.1 version.